Best Cat Sitter & Cat Care | Atlanta & Decatur | Whoa Doggy! That's right, cats deserve their own dedicated spot! It's no secret that we love dogs, but don't let our name fool you. We've got a lot of love to go around and there's a special place in our hearts for our feline furry friends! As pet parents, we understand how comforting a routine can be to our cats. If there is a particular routine you follow, just let us know, we’re happy to help stick to it! We understand that no two cats are alike. Some love to play and be entertained all day, some prefer to play hide and seek, and others just want to snuggle! No matter what your kitty enjoys, we'll see to it that he or she has a purr-worthy time with us during every visit. Message updates with pictures on how your cat is doing, with every visit. Tending to the specific needs of your cat, such as administering medications. In addition to caring for your kitty, we also tend to your home while you're away. 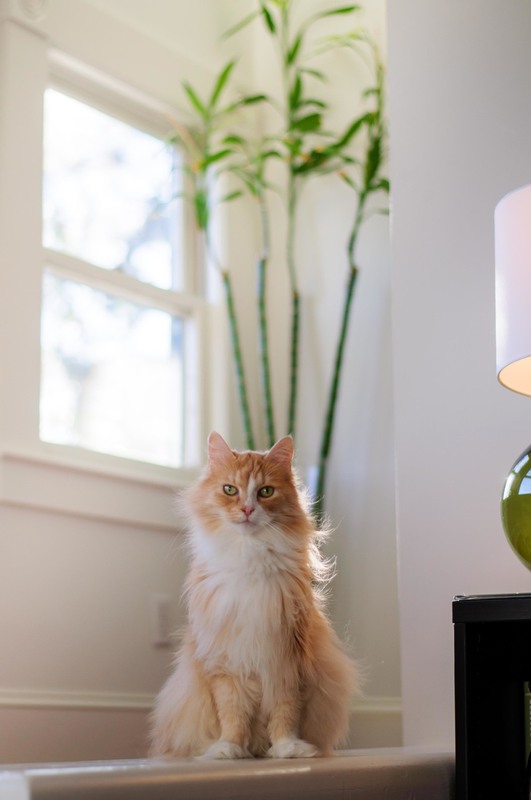 We offer three services for cat sitting, to meet the needs of any cat. As with all of our services, regular tasks such as feedings and administering medications are included at no additional charge. Our standard visit. Loads of kitty goodtimes to go around. Unlimited massages and brushing. Purrrrrr! Message updates on how your cat is doing, with every visit. Litter box maintenance and cleaning of any potty accidents. Who wouldn't want more purring? More brushing, more snuggles, more happy! Extra long brushing session? No problem. Ideal if your cat requires injections or IV medications. Litter box maintenance, and cleaning of any potty accidents. For the cat who takes quality time seriously. We've got a lot of love to go around! Does your cat have lots of energy to burn? We'll take care of that! Dedicated playtime for even the most hyper kitten. The highest level of companionship and stimulation for your cat.